According to the Energy Information Administration (EIA), the nation's approximately 130 million housing units account for about 23 percent of total energy consumption in the United States. Approximately 2 million of these housing units are manufactured homes (i.e., mobile homes) that were built prior to 1976, when new standards for energy efficient construction became effective. These older manufactured homes are generally considered to have some of the poorest energy efficiency of all housing units. Many of the occupants of these homes qualify for federal assistance to help pay for their energy bills through the U.S. Department of Health and Human Services (HHS) Low Income Home Energy Assistance Program (LIHEAP). 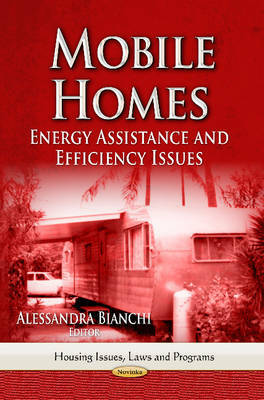 This book examines whether improving the energy efficiency of older manufactured homes or replacing them with newer, more energy-efficient models would save the federal government money by reducing LIHEAP costs.